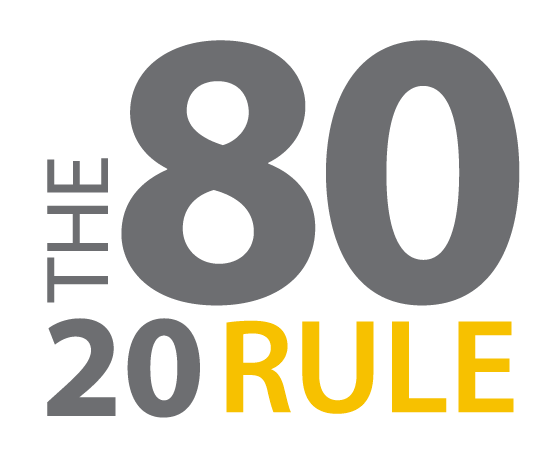 GET 80% OF YOUR RESULTS? Most of us are taught to categorize our clients, label them A, B or C, etc. so that we know how to interact with our database and if you do, congratulations you are ahead of the game! Do you know what your categories represent and why your clients are assigned in that way? 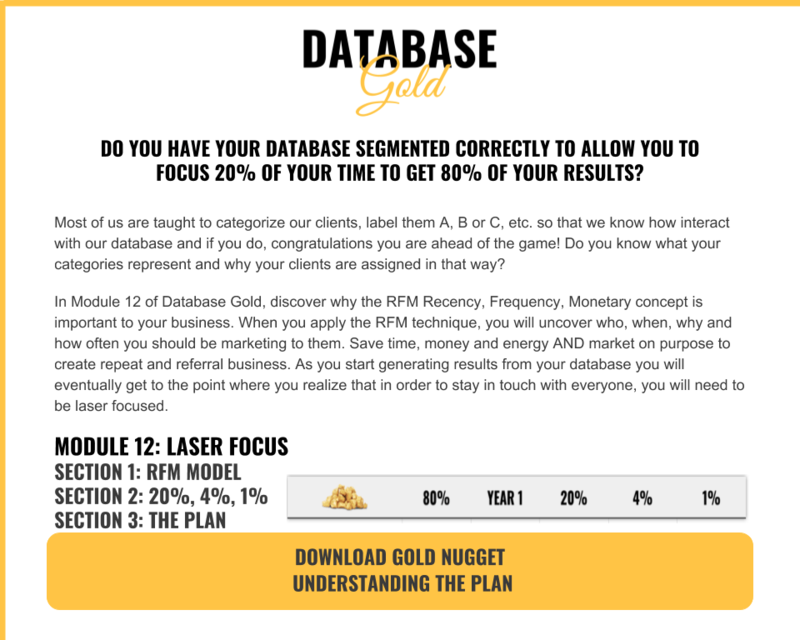 In Module 12 of Database Gold, discover why the RFM Recency, Frequency, Monetary concept is important to your business. When you apply the RFM technique, you will uncover who, when, why and how often you should be marketing to them. Save time, money and energy AND market on purpose to create repeat and referral business. As you start generating results from your database you will eventually get to the point where you realize that in order to stay in touch with everyone, you will need to be laser focused.